1. Student volunteers will be placed on each conference committee throughout the conference planning and preparation stage. The intention is to create a teaching/ learning relationship between each student volunteer and committee chair. 2. Committee Chiars will communicate with the student volunteers who are placed with their committee, and student volunteers will participate as committee members. 3. Student will also volunteer on-site in the role of Conference Support Staff during the weekend of the conference, under the coordination of the Support Staff Coordinator. PCRID's goal is to have volunteers to support the annual conference, while minimizing the loss of member registration fees. The goal of the Student and the student's educational institute is to provide service in the Deaf and interpreting communities, while getting a meaurable learning/teaching experience. Students are under supervision of their instructor, and receive educational credit within their interpreting program for their service experiences. The PCRID Service Learning Coordinator will provide liaison support to committee chairs, and in training and orienting students to their roles. Both, the PCRID Service Learning Coordinator, and the student's educational institute will provide support to students working with the PCRID board and committee chairs. Who are the conference presenters? Who is the Sponsors & Exhibits Committee Chair? What position does Keisha Osborne have on the Board of Directors? How does the annual conference actually happen? 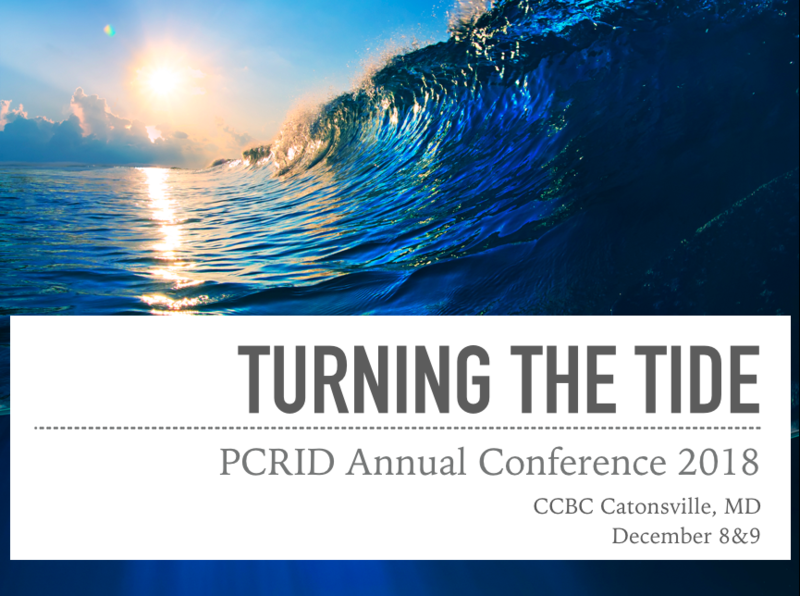 What is the purpose of the PCRID Annual Business Meeting? Each student is placed with a "Pre-Conference Committee" which you will work with prior to the conference for the purposes of conference preparation. Number 1 lists the main committee/role you will be placed with is listed under the number 1. Number 2 is only a backup; PCRID will inform you if you are needed for this committee/ role. Please communicate with your committee POC once you have received an introduction email. Committees and On-Site placements are subject to change at any time - Make sure any changes are documented in the spreadsheet. What are the roles & duties of your Conference committee, and for your On-site Role? Find the Roles & Duties of your specific committees; review & take note. Discuss POC's expectations & note additional roles & duties (if any). Communication: Exchange mobile contact info & set time/ response expectations. To avoid confusion, please do not reach out to your committee POC until you have received an introduction email.